巴黎宣言凝聚區域共識 抗氣候變遷有進展 - 2017世界水資源日 | #Wastewater：Why Waste Water? 2017世界水資源日 | #Wastewater：Why Waste Water? This past weekend Région Ile-de-France hosted the first World Summit of Regions for Climate on October 10 and 11 in Paris at the Palais d’Iena. The Summit was organized in partnership with R20 Regions of Climate Action. Attendees included regional leaders, government officials, heads of large corporations, investors, associations, and the media. Chaired by Arnold Schwarzenegger, former Governor of California and Founding Chair of R20 Regions of Climate Action, this summit gathered some 500 regional and local governments from five continents to contribute to a new legally-binding international agreement to limit climate change. In collaboration with World Climate Ltd., the event mobilized regions, cities, businesses, investors and universities around a joint declaration calling for commitment to a series of concrete actions toward sustainability within the framework of the Road to Paris 2015. The event pushed forward the “positive agenda” of the 21st session of the Conference of the Parties to the UN Framework Convention on Climate Change (COP21) in December 2015, in Paris. COP21 will focus on the adoption of a legally-binding agreement, subsequent pledges by all countries, the Green Climate Fund and carbon pricing. R20 Regions of Climate Action is working to generate a multi-stakeholder “bottom-up” movement of support for the global climate agreement through the mobilization of regional and local actors. Both public innovative financial instruments (Pre-Investment Fund) and private ones (investment fund platforms) will be available for large-scale initiatives. The objective of the Summit was to bring together and engage a broad community of actors in this “bottom-up” approach: regions, cities, businesses, and financial institutions in different areas of the green economy, as well as civil society. The event provided an opportunity to announce the creation and funding of innovative projects enabling the sustainable reduction of greenhouse gas emissions at the global level. Examples include an LED lighting project in Brazil for 1.5 million LED street lights, and one gigawatt of renewable energy in Sub-Saharan Africa. Through concrete commitments from at least 28 states, the United States will reduce its CO2 emissions by 17 percent by the year 2020. French President François Hollande has indicated that France will participate in the Green Climate Fund before the end of 2014. 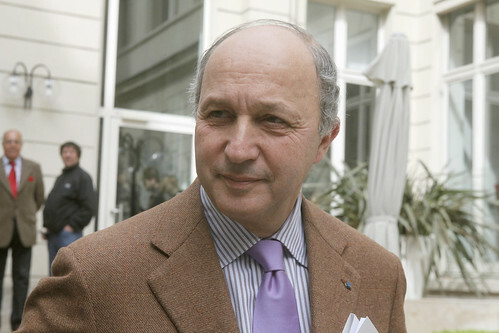 The World Summit of Regions for Climate closed with the signing of the Paris Declaration, presented on October 11 to Laurent Fabius, French Minister of Foreign Affairs and International Development, and organizer of COP 21. The Paris Declaration defines, for the first time, commitments expressed jointly by sub-national governments and the private sector, that focus entirely on concrete actions to tackle climate change. The Paris Declaration calls upon the COP 21 Parties to reach an ambitious international agreement to limit global warming.